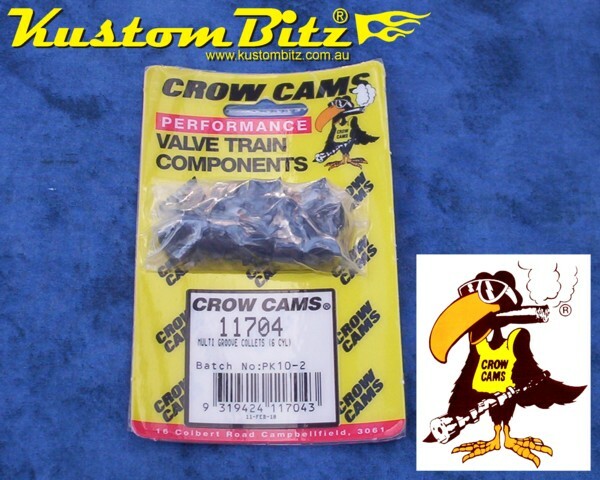 Part# CC-11702-16 : Crow Cams valve locks to suit performance valve spring retainers will suit Ford Windsor and Cleveland V8 engines. Made from hardened steel. 7 degree angle. 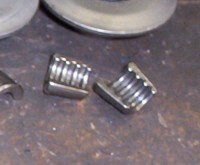 Multi Groove to match a Multi groove valve stem with a diameter of 0.343" inch. Standard Height location. 16 Pack for 8 cylinder engine. IMPORTANT NOTE: Please ensure you select the right components for your engine. We have structured our web site to allow you to make an informed decision on what you are buying, so we encourage you to be thorough. KustomBitz will change over components if you order the wrong ones and they are not used in anyway, however it will cost you a 35% restocking fee plus the additional cost in shipping.